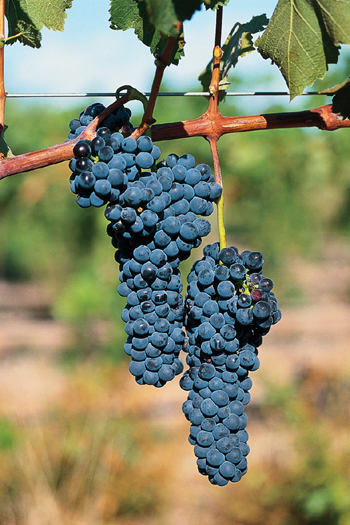 How long can grapes sweat out great vintages? In the wine country of Willamette Valley, Oregon, Harry Peterson-Nedry has noticed climate change first hand. Fifteen years ago, the highest elevation he could successfully grow grapes at was 600 feet; now warmer temperatures allow him to reach 1,000 feet. His last three out of four vintages have benefited from the hottest growing seasons on record. “I’ve definitely noticed over the last 20 years or so better and better ripening periods [due to] more heat,” he said. Wine quality depends closely on seasonal temperatures, which is why Gregory Jones, a geographer at Southern Oregon University, describes vineyards as “the proverbial canary in the coal mine” for global warming. Jones and other researchers have found that wine vintage ratings have increased an average of 13.3 percent for each degree Celsius the growing season is warmer than average. Using generations of vineyard records, Jones has studied how environmental changes alter grape growth and wine flavor. His findings were included in a recent United Nations report on climate change. One wine-producing region that Jones has studied is the Willamette Valley, where Peterson-Nedry has begun implementing growing strategies better suited for warmer temperatures. The adjustments have included planting new grape varieties—like Syrah and Merlot—that previously were unsuccessful in that region. These stronger wines can taste “hot,” like straight gin, according to Jones. “We’ve seen anywhere from about 1.5 to 2.5 percent increase in alcohol content worldwide,” he said. Even though it has helped some of his wines, Peterson-Nedry realizes that too much heat can be bad. “Pinot Noir is a sensitive grape that can easily overripe to lose its magic,” he said. He has started to plant the grapes at higher elevations and in areas that face away from the sun. In Southern California’s San Joaquin Valley, temperatures have become downright intolerable, pushing some vineyards to replace their vines with walnuts. The rest of the world is also adjusting to the warmer weather. In Europe, Spanish and Greek winemakers are looking to plant at higher elevations or along the coast where it’s cooler, while Australian winemakers are looking to create stronger plants that better cope with hot climates. But the technology to breed a heat-tolerant grape is far from ready, according to Jones. Quality wine is still plentiful now, but Jones worries that there are only so many adjustments vineyards can make before they run out of options. If the climate continues to warm, “you [will only] have table grapes and raisins to look at,” he said. I was wondering if you could tell me your resource stating that some San Joaquin vineyards have been replaced by walnut orchards. I am working on my thesis and your article is helpful in my argument… but I need to know your sources if I am to use it. Agreed, I spend few evenings discovering good German wines and it’s hard to find.